nine rebounds and two blocks in Thursday’s victory. VALDIVIA, CHILE (July 21, 2016) University of Texas freshman Jarrett Allen posted a team-high nine rebounds to help Team USA (3-0) to a 70-50 victory against host Chile (1-2) in preliminary round play at the 2016 FIBA Americas U18 Championship on Thursday evening. Allen, who started the game, added four points, two blocks and one steal in 26 minutes. UT freshman James Banks recorded two points in three minutes. Texas coach Shaka Smart is serving as head coach for the USA team. With the victory, the Americans conclude preliminary round pool play with a 3-0 mark and advance as the top seed in Group B to the tournament semifinals. Team USA will face Brazil (2-1) at 7:15 p.m. CT on Friday, July 22 in the second semifinal, while Canada (3-0) will play Puerto Rico (2-1) at 5 p.m. CT in the first semifinal. The two semifinal winners will meet in the Gold Medal game, scheduled for 7:15 p.m. CT on Saturday, July 23. 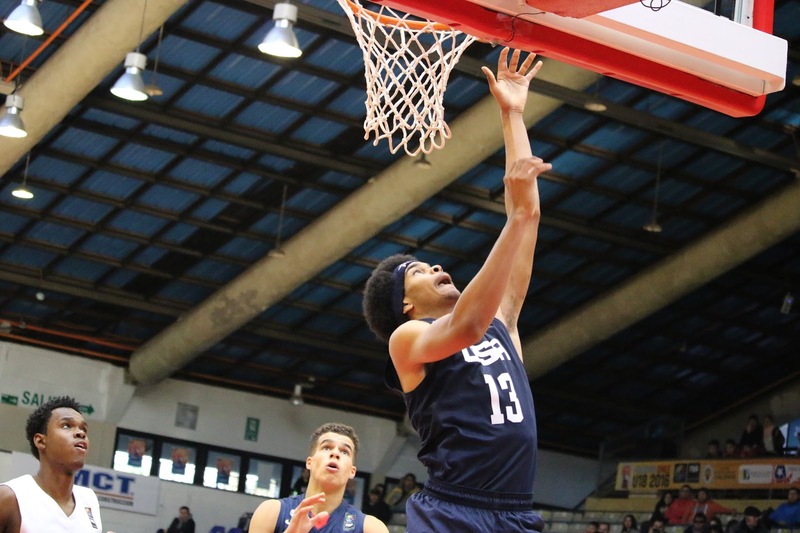 In addition to pursuing a gold medal, the United States has earned a qualifying berth in the 2017 FIBA U19 World Championship by virtue of their top-four team finish in this tournament. All games during the FIBA Americas U18 Championship for Men will be streamed live on FIBA’s youTube channel: www.youTube.com/FIBA.